The self-help book is the first of a three-part series. It was born out of a period of serious self-contemplation from Jackson. After sustaining a serious injury, he set himself on a journey of self-discovery. He began asking himself questions to help him get in touch with masked feelings that yearned to be expressed. By sharing his experiences, Jackson hopes to help others uncover their genuine selves by lowering their mental shields. He acknowledges that it is not an easy task, especially in today’s age of social media. However, he provides assurance that such revelation is possible. “Nothing is ever lost, especially not ourselves, if we look earnestly and honestly in the one place that matters—our heart,” he says. “This book inspired me to start thinking of life as art. Not with some destination I ought to arrive at, but as something that is lived every day,” says one Amazon customer, who gave the book a five-star rating. 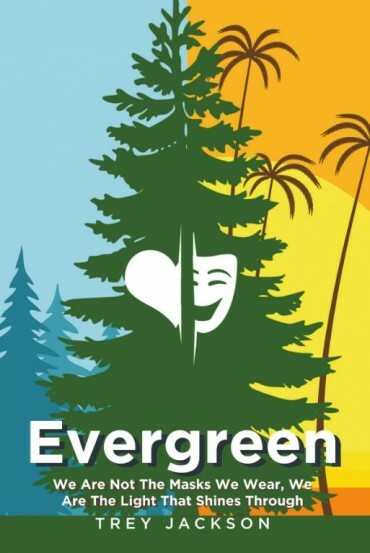 “Evergreen” encourages everyone to show their true colors. The inspirational read can be purchased in selected online bookstores. Book copies are available at LitFire Publishing, Amazon, Barnes & Noble, www.treyjacksonauthor.com and other online book retailers. Trey Jackson has degrees in history and supply-chain management from the University of Tennessee. The Free-Minds blog and podcast founder had a short stint in stand-up comedy before entering the corporate world. At present, Jackson is based in Atlanta, Georgia.